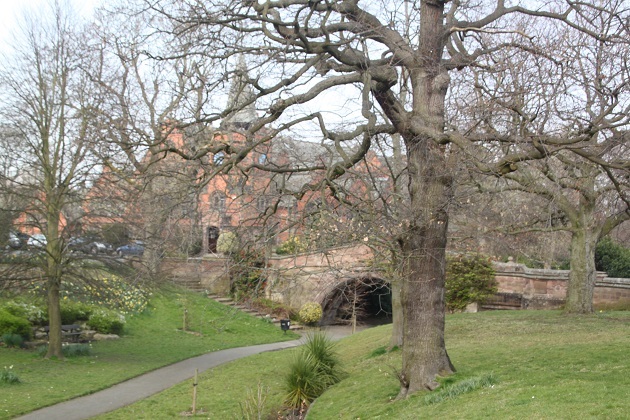 Having been to Port Sunlight a long time ago – Son was still in a stroller – we decided to take another trip to this lovely place outside Liverpool and this time explore a little more thoroughly. Our last visit was in winter with grey skies and gloomy weather, this time we were blessed with bright sunshine, the perfect day to explore a model village. The history is fascinating – William Lever, a businessman in the late 1880’s wanted a new location for his soap business and he chose this place on the south bank of the River Mersey facing Liverpool. Lever was a brilliant business man who cared about his employees, wanting them to have a decent place to live and opportunities to better themselves. 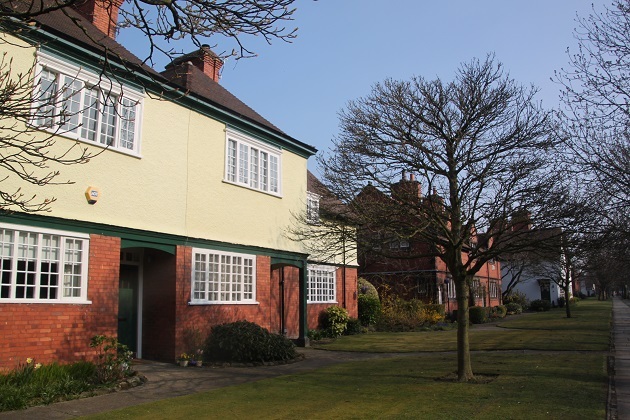 Port Sunlight came from this idea – a self contained community for his workers with fine houses, social facilities and plenty of open and green spaces. Revolutionary in those days it is still a special and beautiful place, now a conservation area with strict controls on development. We loved strolling around those broad tree lined roads soaking up the atmosphere. I found a guided trail on the internet and downloaded this before our visit. You can also buy a guided trail at the museum for a couple of pounds, either way I think it is essential to get the most of a visit to Port Sunlight. We started at Lever House, the office entrance to what was then Lever’s new factory. Very grand and ornate this place definitely makes a statement and the factory is still going today. Lever was not the first industrialist to build houses for his workers – Saltaire and Bourneville are two examples and are also known as “model villages.” The difference here though was Lever wanted his village to be a really beautiful place and equal the attractiveness of wealthy areas with flowers, trees and fresh air. He also planned a self contained community with shops, a hospital, schools, recreational facilities and a church. Beautiful architecture and lovely gardens everywhere, each block of houses has an individual design. 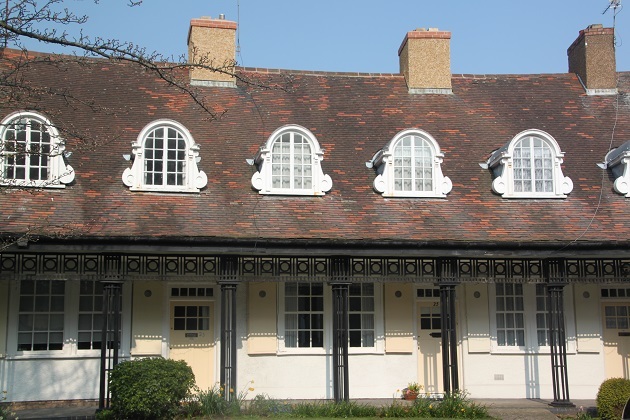 All had front and rear gardens and indoor bathrooms – exceptional luxury in those days plus houses were allocated according to the size of the worker’s family rather than their status or position at the factory. We crossed Dell Bridge and looked over a small wooded valley – beautiful with lots of trees, the bridge shows no expense was spared here as it is physically unnecessary and purely decorative. 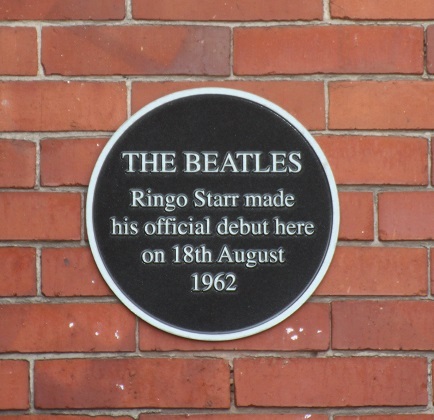 Past the village bowling green we saw Hulme Hall where Ringo Starr played for the first time with the Beatles. 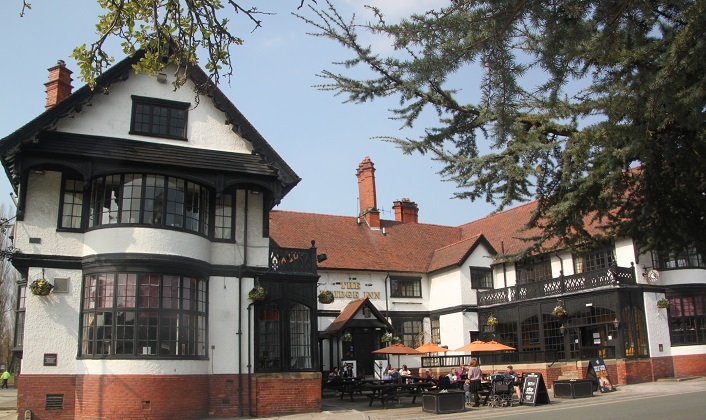 The Bridge Inn originally did not serve alcohol – Lever disapproved – but when his workers requested it be sold a vote was organised in the village. People supported the idea and Lever allowed it to go ahead. He did insist though that they also served tea, coffee and excellent soup to ensure working men didn’t just drink beer there. The church is beautiful, paid for by Lever himself. Much of the other building work was funded by the profits of his soap business but he paid for the church himself. It is non-denominational – Lever wanted a church for all Christian people. 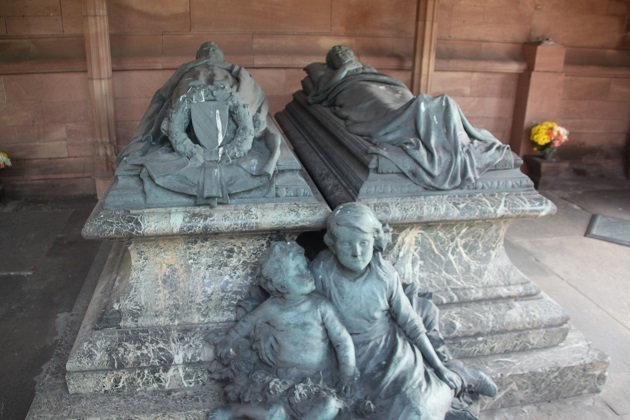 It is the final resting place of Lever and his wife, buried in a marble tomb with life sized bronze statues. We looked inside and chatted with two very lovely ladies, long-time residents of the village who were full of interesting information and anecdotes. 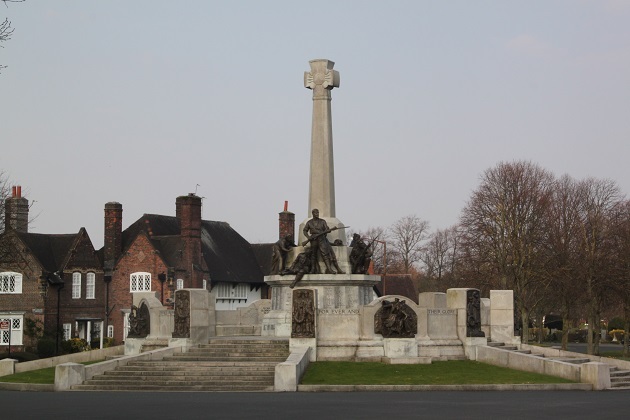 The war memorial is impressive and a bit different – it has statues of women and children as well as soldiers. We sat and looked down the Causeway before going inside the Lady Lever Art Gallery. Lever was a keen collector but often displayed his collection in the dining room for workers to admire – part of his plan to encourage people to educate and better themselves. The little gallery is gorgeous, built in 1922 as a memorial to his late wife there is lots of British art including works by Turner and Constable, many porcelain items and a furniture collection. There is also an area with books, puzzles and games for children – great idea and it kept Son busy while we browsed. We walked past the one-time hospital and came to the very edge of the village. From here the contrast between Port Sunlight and the more recent buildings is stark. On the Port Sunlight side of the road the houses are individual with lovely gardens and landscaping. On the other side the buildings join the pavement and are not attractive with a mix of shops, houses and commercial places. 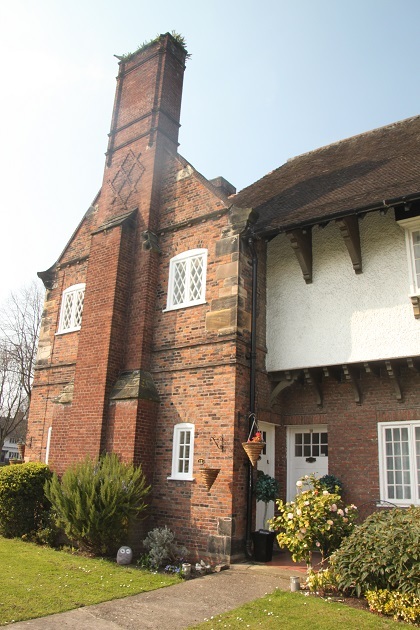 In Port Sunlight they kept these things separate, the factory was on one part of the site and there was nothing industrial or commercial in the residential areas. 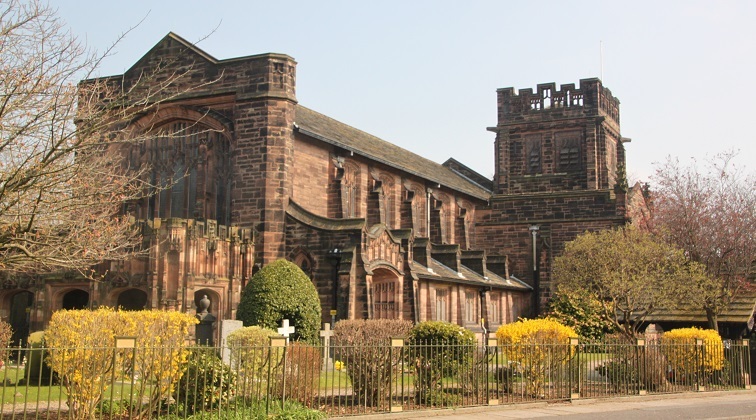 Walking along the busy main road it hit home what a sanctuary of peace and quiet the streets of Port Sunlight were and continue to be. Our stroll ended at the time capsule mosiac – another peaceful spot in the heart of this beautiful and rather inspirational village. 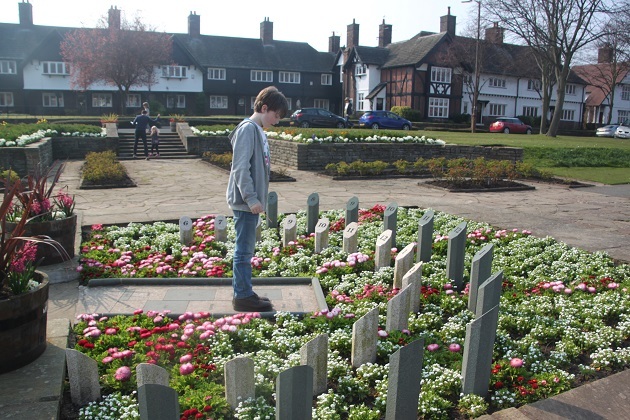 I haven’t been to Port Sunlight in years, even though it’s only about half an hour away from where I live when I’m home from university! Lovely pictures & really enjoyed reading this. That’s always the way – places nearby often get overlooked for trips further afield, we are exactly the same. It’s a great place for a stroll on a sunny day, beautiful but great history too, we loved it. So true – my mum used to take me there a lot when I was younger, but I just haven’t been recently – definitely a place that deserves a re-visit when I get the time! What a delightful place! Great idea with the walking route 🙂 That war memorial really does look different, but fitting, as children did suffer a lot from war (and still do in many parts of the world).. It was such an interesting walk Suvi – lovely houses, streets and fascinating history. I thought the war memorial was so interesting, never seen women and children depicted but like you say, they suffer just as much. I love these English cities but I have never been to Liverpool. Thank you for taking us along on your journey, Joy! This is such an interesting place Erika, beautiful and like a breath of fresh air but such interesting history too. 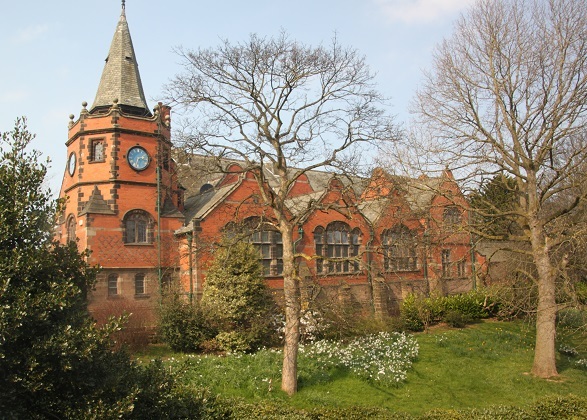 I had the opportunity to drive through Port Sunlight 2 weeks ago…I LOVED it and was sad I didn’t have time to go back and explore and learn some more. Your post was perfect, answering some of my questions I had when we passed through! Lovely photos too….a real gem of England. It is just gorgeous- we loved it and strolling around with the guided trail was so interesting. If you ever get the chance to go back you must do this!! It is a lovely place and a gorgeous walk. Thanks Joy for this interesting post – Port Sunlight is somewhere I’d like to visit but haven’t so far. The architecture and layout is just so beautiful and well worth a visit! I loved the whole place, the houses are beautiful and the fact they are all different is wonderful. We had the most enjoyable day just wandering and strolling – I highly recommend it! It’s definitely moved nearer to the top of our ‘to do’ list now!! The war memorial stood out to me. Heart wrenching but yes, all ages were affected. I’ve never seen a war memorial quite like this one – it’s highly impressive and very memorable. It really is – an oasis of calm in the middle of a busy city. 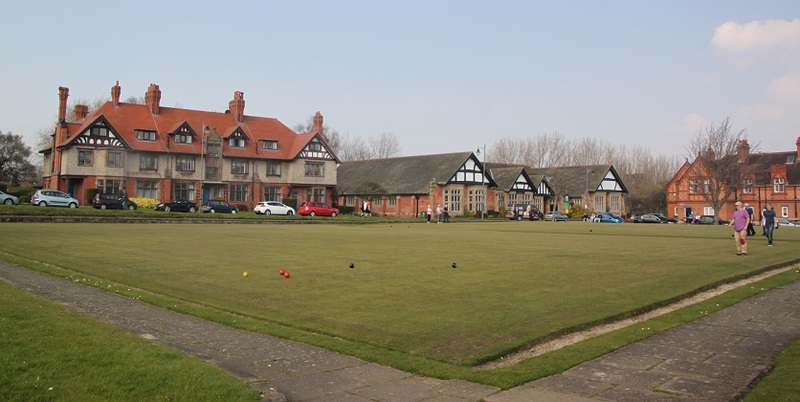 It looks like you had a lovely day in Port Sunlight and with great weather too. 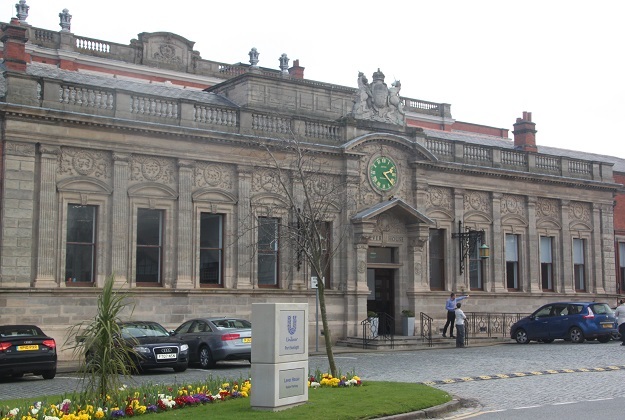 I’ve been to Bournville but never got around to Port Sunlight. It’s an interesting slice of history from a time when major employers could also concern themselves with the wellbeing of their workers and a philanthropic attitude. It feels like that’s all but disappeared again. Maybe it’s something that will cycle back. We were really lucky with the weather – blue skies and sun makes everything better! 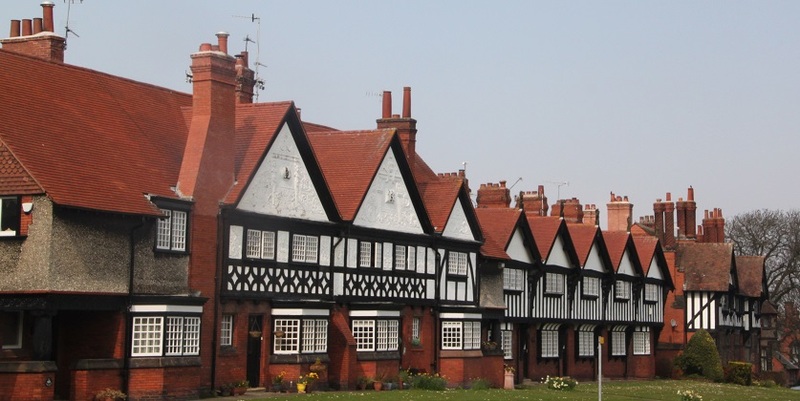 I love the history of Port Sunlight too – it must have been incredible to live there and it is still a lovely place to live. What a charming village. Knowing the history of the founder also makes Unilever products more attractive . Absolutely! The history is so interesting and he seemed like an incredible man, apparently he got fully involved in all the social activities here too and knew all the workers. Fabulous! I’d like to go there. Same principle, but different era and style, to Robert Owen’s New Lanark near us. New Lanark is one on my list – would love to see that some day. A real oasis of calm in the middle of a busy city, it’s a gorgeous walk Suzanne. Joy, this is beautiful. We should have gone there when we were in Liverpool last summer! Such an interesting concept, there are a few here in the US! Happy weekend! I love the concept too Pam and it is a lovely place to wander. If you’re ever back in Liverpool you must visit! Hope your weekend is a wonderful one too. It’s a fascinating place and very beautiful Rosemary, we really enjoyed wandering and learning about the history. I always mean to visit Saltaire, we never seem to get around to it though, we were in Yorkshire a couple of weekends ago and I mentioned it to my husband again that we must go! Someday…. How fascinating though with your family connection and what a shame the fortune didn’t survive!! Sounds like some wild weather is coming your way – stay safe. We are supposed to be getting lots of rain but not quite as dramatic as your predicted weather!! This sounds like a lovely day and a very interesting place. It is a beautiful place but so interesting, the social history is incredible and we loved just everything about it. I also grew up in a village founded by Quakers in Ireland – it still has no pub!! 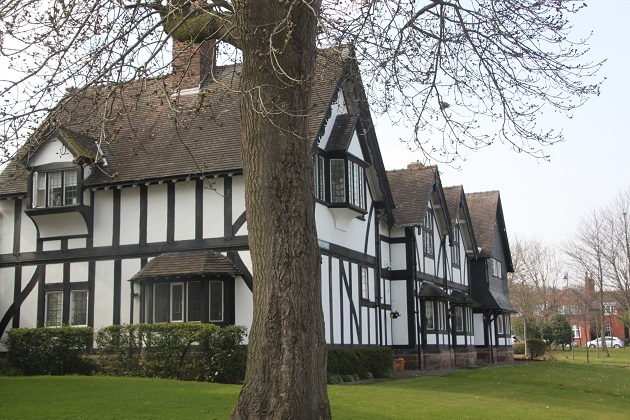 Port Sunlight is so interesting, we thoroughly enjoyed our wandering – I definitely recommend you download the trail, it is so informative and interesting as you see all the different buildings. Do you have a link for the trail? I can’t find it on the Port Sunlight website. Interesting that you grew up in a similar place! 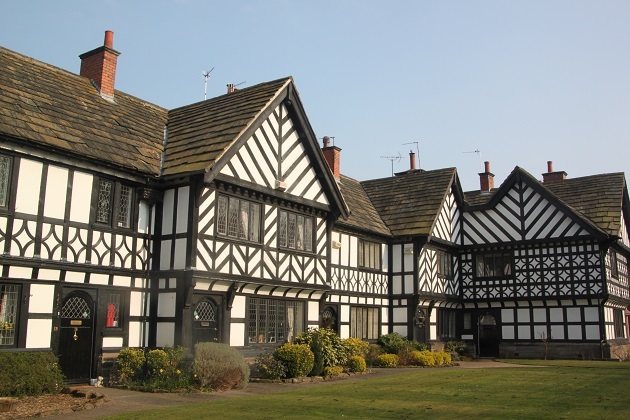 http://www.discoveringbritain.org was the website I used, Port Sunlight is one of the north west walks -loads of others too in case you’re interested! Thanks so much for the link – looks like a useful site for other areas, too. I’m particularly looking for two to three hour walks near the Dorset coast for this trip, and I’ve read that the Coast Path isn’t in very good shape. I like the information they include with each walk, we’ve done a couple and my intention is to work through them a bit more. Not too sure how many Dorset walks are included but hopefully you’ll find something. I loved them – the fact each row is slightly different from the next as well is great. 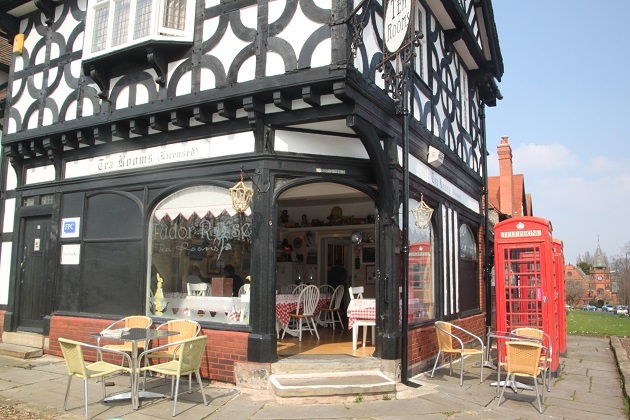 We don’t know the Wirral very well at all – definitely an area I would love to explore more. I would recommend the walk to Hilbre Island from West Kirby beach. Great in nice weather and you can even spot seals there. Just be careful about the tide times . That sounds great – thanks for the tip!! Thank you for a wonderful insight into what must be a beautiful place. If only that ethic had been adopted by all industrialists. Totally agree – this is a remarkable place and must have been wonderful to live and work there! This place is really special George, we just loved the history and thinking behind it and strolling there is such a pleasure. 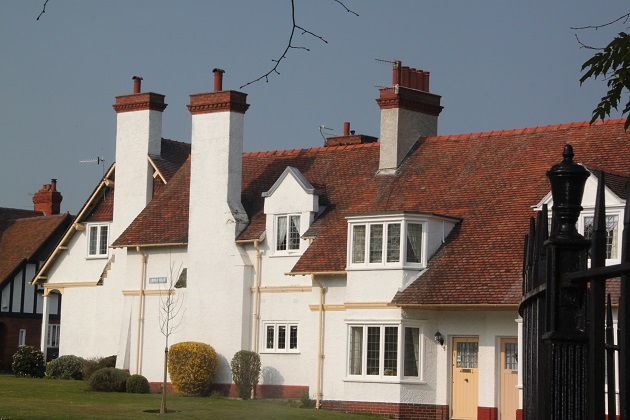 An incredible place to live in those days, it is still highly in demand and you can see why! So interesting. If only more business men were that way inclined. Absolutely – it’s definitely not the norm these days! 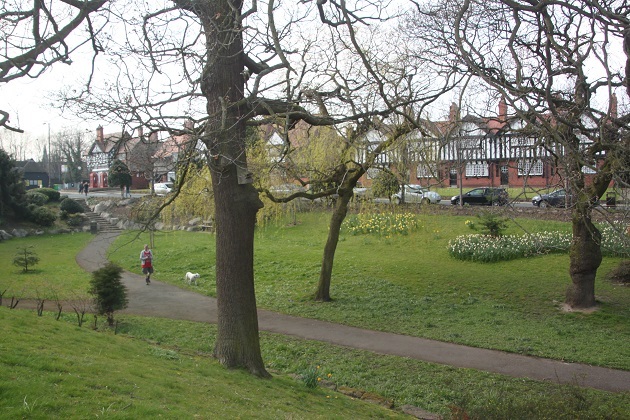 Hopefully you will sometime Shirley – it’s beautiful with gorgeous landscaping too and then all that fascinating history! That sounds like such an interesting an innovative place for the times. I think I’ve read about it before, but didn’t realise it was close enough for a day trip! Thanks for sharing. If you get a nice sunny day it’s a gorgeous walk, the history is fascinating too but if you visit be sure to get a copy of the trail, it makes it all so much more interesting. The art gallery is great to visit too, quite small with interesting bits and pieces – and free! Looks like a lovely place for a stroll! Hadn’t heard of it before. It’s gorgeous, full of interesting history and just a lovely place for a wander. Oh wow, this looks like a lovely place to visit, Joy. Glad you enjoyed exploring it with your son. It was wonderful Reggie, a lovely place with plenty of wide open spaces and so much interesting history to absorb – the best kind of walk! I agree wholeheartedly! And I like how you’re passing on your enthusiasm for travel, adventure and inquiry to your son. I was instantly captivated by the architecture in your pictures. Pretty good planning considering the fact that it was once built to accommodate workers. The houses would have been real luxury in those days and still stand the test of time! You have reminded me that this is a place that I have always wanted to visit. I am going to North Wales in June, maybe I can make a detour! We thoroughly enjoyed wandering around there, sunshine made it even more pleasant but it would be a great place to break your journey! Wow! I have never heard of this before! I would love to live in one of those beautiful homes with the lush gardens. It sure is nice to hear a positive story about a factory owner. Thanks! Aren’t they just gorgeous houses, we loved all of them and the story about how they came about is a great one. What a charming little place! It is quaint and timeless and the scenery is just lovely. 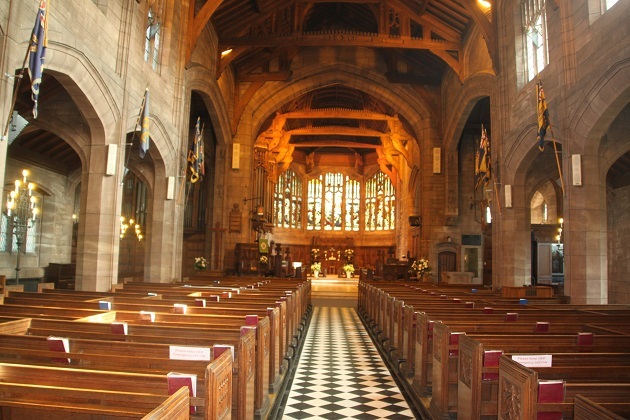 What a great place – I’ve never been to Port Sunlight. I love the history behind it – and what a great idea to download a route. Must remember that for the future! It’s a beautiful walk and the history is so interesting, plus a lovely cafe and a child friendly art gallery make it a great family day out. What a lovely visit and village. I liked the bit of history about Lever too. I’ve used that soap from time to time throughout my life. Oddly enough I never thought it was founded by a Brit! Thanks for the history lesson. Great images and narrative as always! It’s such an intriguing place to stroll around – I love that Lever was so keen for his employees to have a better life, makes it even more interesting.